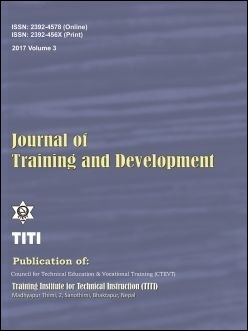 The present study has explored the motivational factors to join the vocational training programs among persons with disabilities in Nepal. Based on the phenomenological approach, I conducted in-depth interviews with purposively selected eight persons with disabilities who had been undergoing short-term vocational training courses. I followed the thematic analysis technique to analyze the data. With the help of major content theories of motivation and the social role theory of gender differences, I discussed the study results. The participants’ expressions revealed that the motivating factors were employment, suitability of training to the type of impairment, utilization of free time, advice from relatives, opportunity to get training for free, personal interest, and a strong desire to do something. The results showed that both extrinsic and intrinsic factors were functioning as the motivators for the learners. Their perceptions supported the traditional gender-based selection of occupations. The study showed the need to adopt relevant measures to leverage the learners’ motivation for learning throughout the training.